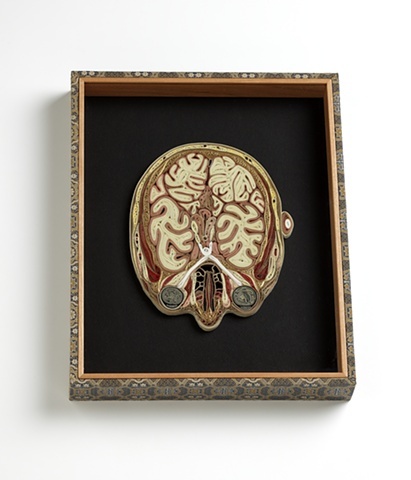 This piece represents a cross section of the head at the level of the eyes. It is life-size. The beautiful white cross leading from each eye to the brain is the optic nerve.